Mouse anti Human RING1 antibody recognizes the E3 ubiquitin-protein ligase RING1, also known as E3 ubiquitin-protein ligase RING1, polycomb complex protein RING1 and really interesting new gene 1 protein. RING1 belongs to the RING finger family, members of which encode proteins characterized by a RING domain, a zinc-binding motif related to the zinc finger domain. The gene product can bind DNA and can act as a transcriptional repressor. It is associated with the multimeric polycomb group protein complex. The gene product interacts with the polycomb group proteins BMI1, EDR1, and CBX4, and colocalizes with these proteins in large nuclear domains. It interacts with the CBX4 protein via its glycine-rich C-terminal domain. The gene maps to the HLA class II region, where it is contiguous with the RING finger genes FABGL and HKE4 (provided by RefSeq, Jul 2008). 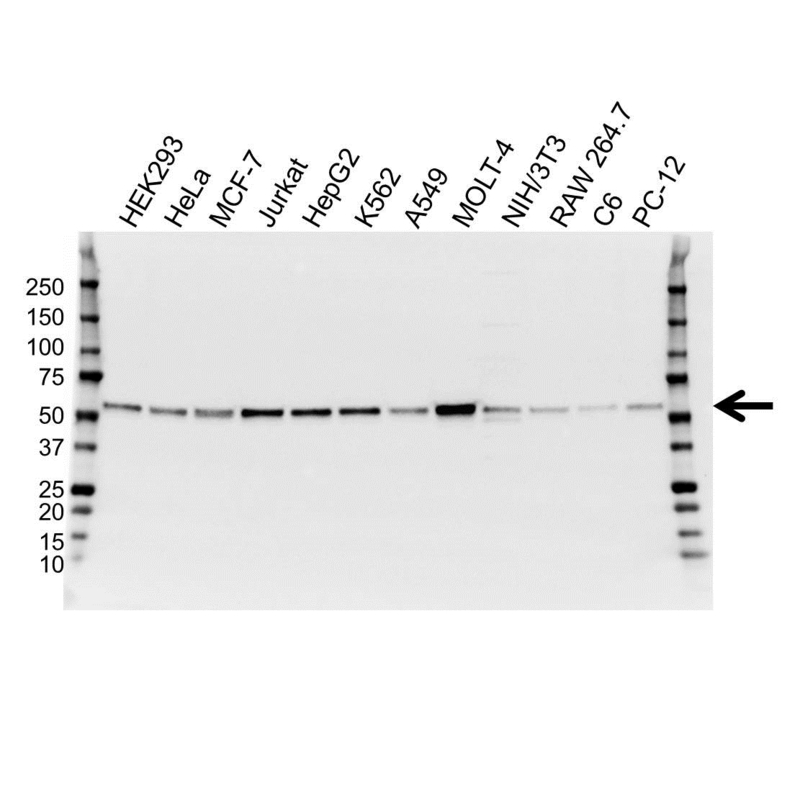 Mouse anti Human RING1 antibody detects a band of 54 kDa. The antibody has been extensively validated for western blotting using whole cell lysates.